Try the good old proto pipe with poker and stash. Made in USA Zoom in to see original manufacture PP protopipe stamp. The proto pipe deluxe is a great gift idea and totally cleanable. Pros: What can be said about this classic bit of history, what are you waiting for just pull the trigger. Pros: I love it so convenient. It brings back the old times. You can just carry everything on one that's why I've always loved the protopipe!!! Cons: Somehow the poker fell out to easily. I think I remember having the same problem 15 years ago. It just needs to be bent slightly. But I've got an extra one. Comments: It's just a great piece. Pros: Have owned mine for 15 years. Goes everywhere with me. Easy to clean. No need for screen ever is major plus. Cons: Bought a new protopipe a few years back that was not made nearly as well as my original. Tar trap almost impossible to remove. I had heard at that time they were being made elsewhere. Ended up giving it away and going back to my original. Comments: By far the best pipe I have ever owned. Will never own another metal pipe unless it is a brass protopipe. Cons: Bottom trap door only came off with help of "Vice Grips". Not good for brass. After sanding, removing burrs, put on with vise grips, I rounded it back out and polished it. No problems; but I'm a machinist. Some people may have problems with this...? Cons: Easy to lose parts. And replace them. Comments: Rubber tip hard to find. Could be painted flat black so pipe is hard to find when P0PO IS ON YOUR TAIL !!!! Pros: Outstanding design and quality. Portable for trips and great for everyday use! Pros: phenominal cast and milled brass portable, stealth, everything required is integrated together, except flame. Well worth the price. Very functional. Comments: Everyone should have one. Pros: Bought my first one in 1996, still have it and use it. Was just given one as a gift in 2010. Exact same quality as the first! Great design! Cons: Only bad thing I can think of, extra cleaning part of life. Comments: Quality and design, who could ask for more? Pros: If youre not already familiar with this product then you're missin' out! This item should be part of everybodies smoking supplies... it is a must have do all implement! Excellent portability, functionality & versatility! Cons: Simple plugging issues in spite of the thought that went into the design. But very minor problem considering the field cleaning breakdown abilities of the pipe. Comments: To own it... Is to Love it!!! Pros: the permanent screen, the ability to clean it to an original state, the storage container, the heft and look of it, hits like a champ...what else could you possibly need? Pros: every thing is perfect about it from the smooth pulling to the hidden compartment what's not to love. Poker is used to tamp tobacco, and clean permanent screen. To use the Poker to remove the Trap from bottom of pipe, oush tip into ceter hole, and give the shaft a light tap. The Poker interlocks and holds all of the parts together. When tension is loose slightly bend POD Tab to adjust friction fit. 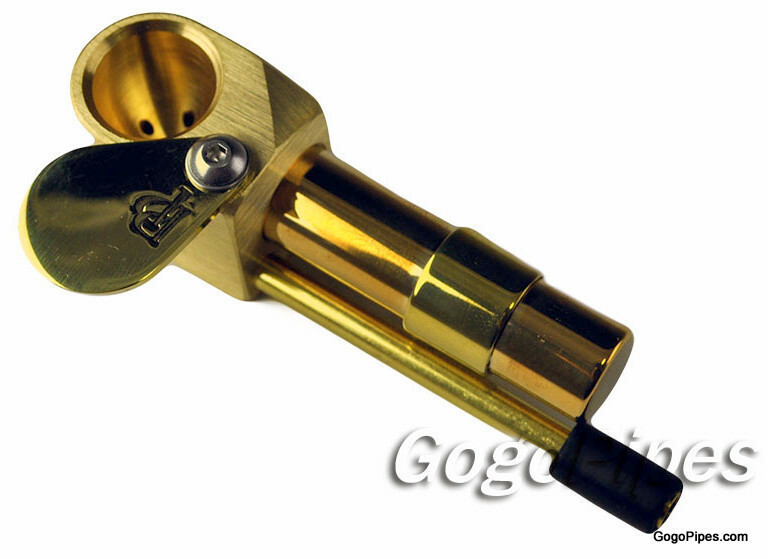 Convenient 5 Bowl POD (tobacco container) is also used to tamp the tobacco. Swivel Bowl LID can be used as a handle, or closed to snuff out fire, and to protect the content of the bowl . Use 54 Hex Wrench to adjust Lid Tension Screw, moving it as little as possible. Keeping Tar Trap surface, and the walls of its chamber clean, will help pipe to work well. If Trap is stuck in pipe, heat bottom to soften the rough tar, before trying to remove. Use Q-Tips, strong alcohol, and food gade acetone, to remove tar.